As with every human’s body, there are a group of muscles and tendons found in the shoulder joint called the rotator cuff, it helps support the top of your arm bone in the socket and aids in the extensive movement of the shoulder. In any case where these muscles and tendons get strained or torn, the doctor is most likely to recommend a rotator cuff surgery to fix the injury. The rotator cuff surgery is done with a method known as arthroscopy or keyhole surgery which involves a minimal intrusion on the joint where the surgeon put in a camera and small instruments that are passed through tiny openings. Always put on your shoulder sling: Once the surgery is successful, the doctor will provide you with a shoulder compression brace. This piece of equipment helps restrain your arm from excessive movement. The duration in which you would put on your shoulder sling depends on the type of surgery that was carried out and how severe the rotator cuff injury was.After most rotator cuff surgeries, it is a necessity to put on a shoulder sling at all time for about 4 to 6 weeks. With this duration, the hand, wrist and fingers can be moved freely but the entire arms functionality is limited. Have an appointment with a physical therapist: One of the ways to speed up your recovery process is to have a routine appointment with a physical therapist and partake in physical therapy sessions as scheduled by your therapist. The physical therapy sessions are designed specially to comprise of exercises that help to improve the strength of your shoulder, its flexibility and improves the extent to which the arm can be moved as the shoulder heals.The majority of the rotator cuff physical therapy cases always start with moderate and malleable exercises which while being done includes the support of the therapist as the arm is being moved. After your doctor may have cross-examined you can he/she then approve your moving to more active shoulder exercises that would help speed up the healing process. Avoid the use of pain medications: After a rotator cuff surgery has been carried out, as a matter of fact after any kind of surgery has been done, it is a norm to feel pains and unrest. And as much as pain relieving meds can help reduce pain and increase comfort while you are healing, it can also hide the pains that should be experienced during physical therapy thus making it easy to amplify your activity rate and that can be a huge setback during the recovery process.The sooner you stop the use of pain killers after surgery, the easier it becomes to achieve tour recovery goals while carefully adjusting to your physical activity as you progress. Trying to reach behind your body. Raising your arm above your head. Putting weight on your arm or shoulder. And moving your arm sideways. Some sleeping positions can also affect the healing of the arms and should be avoided, like positions that apply pressure on the shoulder. Don’t be in a haste to recover: It is very crucial to put the doctor’s advice first before anyone else’s after the surgery. This is to say that, no matter how good you may feel, the doctor’s advice is paramount and must be adhered to. 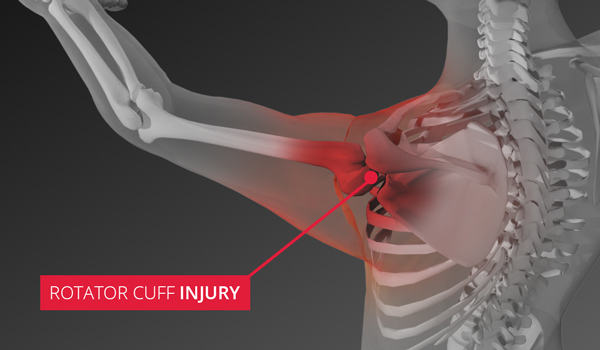 There are cases where even if you feel little or no pain, all it takes to increase your chances of another injury is the activity or stress you put on the shoulder. Healing in general is a gradual process and shouldn’t be rushed, this way you reduce the chances of even spraining other parts of the body like your elbow or spine.